Exeter Chiefs' Sam Simmonds won his first England cap this weekend against Argentina. He was called up to the squad in place of flanker Tom Curry, who was ruled out of the Test after suffering a wrist injury in training. England fought hard for a 21-8 victory at Twickenham. The tries came from Nathan Hughes and Bath Rugby's Semesa Rokoduguni. Exeter Chiefs' Sam Simmonds has been called up to the England rugby squad for the first time ahead of the Autumn internationals. The back-row joins up with England for matches against Argentina Australia and Samoa in November. Simmonds' teammates Henry Slade and Harry Williams are also in the squad. Champions Exeter currently sit second in the league, a point behind Saracens. England head coach Eddie Jones has also included Bath players Anthony Watson, Jonathan Joseph, Charlie Ewels, Zach Mercer, Sam Underhill and Tom Dunn. Exeter Chiefs winger, Jack Nowell, could miss England's autumn internationals after getting injured during a match against the Newcastle Falcons on Saturday, 7 October. The 24-year-old fractured his cheekbone and may now need surgery, meaning he could be out for eight weeks. England is scheduled to face Argentina, Australia and Samoa in the weeks following 11 November. He will miss Exeter's game against Sale in the league. Gareth Steenson, as far as players go, don't come much better as far as Exeter Chiefs fans are concerned. Rugby premiership champions Exeter Chiefs launched next season's kit today. They'll play in Pink in Europe and All Black at Home. Huge crowds turned out in Exeter to see the Exeter Chiefs parade through the city in an open-top bus. Exeter Chiefs have been crowned champions of England after going into extra time against Wasps at Twickenham. It was arguably one of the most nail-biting matches in the history of Premiership - with the Chiefs finally winning 23-20. But though it was hard won, fans are ready to celebrate. We've only gone and won it! 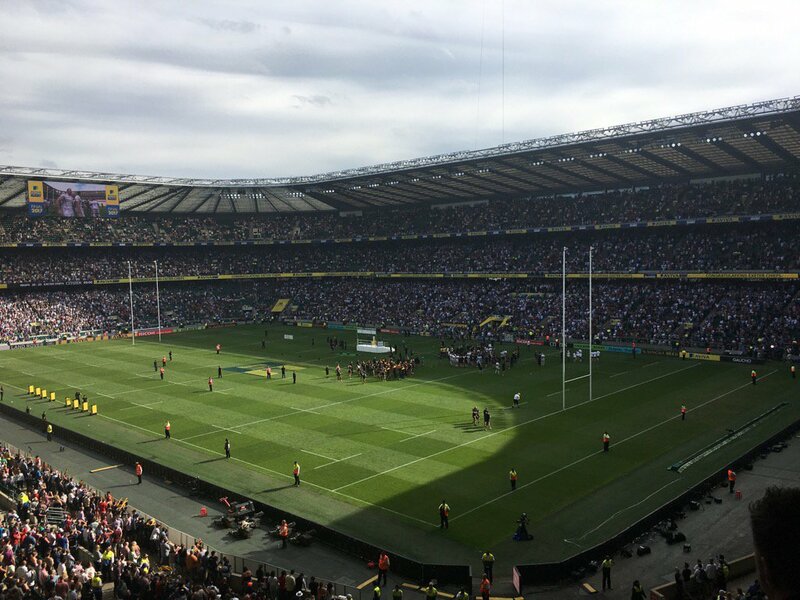 Exeter Chiefs fans are at Twickenham as their team faces Wasps in the Premiership Final. Exeter Chiefs take on Saracens knowing they must beat the best side in Europe if they are to reach a second successive Premiership final.